Ask Honest John is one of the site's most popular sections, with hundreds of questions coming in for Honest John every month. You can look up the answers to questions already asked here, but if you can’t find the answer you need then you can ask one of the team. We've been tracking tends as they happened over the course of 2011, ranging from what’s happening in the news to what the weather is doing. We’ve filtered through all of the topics and queries from the past year to find the most commonly asked questions, showing what bugged you the most in 2011. The majority of the questions have been about buying cars, whether new or used, and a large amount of readers in 2011 were looking at smaller models, like the Hyundai i10, Ford Fiesta and Volkswagen Polo. With many car owners needing to tighten their belts it’s not uncommon to downsize when a new car is on the cards. But questions about buying and selling are bound to be the most common, it’s the nature of honestjohn.co.uk – so what trending topics were the most unexpected in 2011? Ranking highly were questions related to wheels and tyres. With a bitter winter in 2010 and bleak early forecasts for 2011, a lot of owners asked about the merits of winter tyres. There were also numerous questions on what size of rim to select on a new car, with owners seeking the best balance of style, comfort and handling. The economic climate affected questions as much as the meteorological climate - buyers are always seeking the best fuel economy as fuel prices soar. 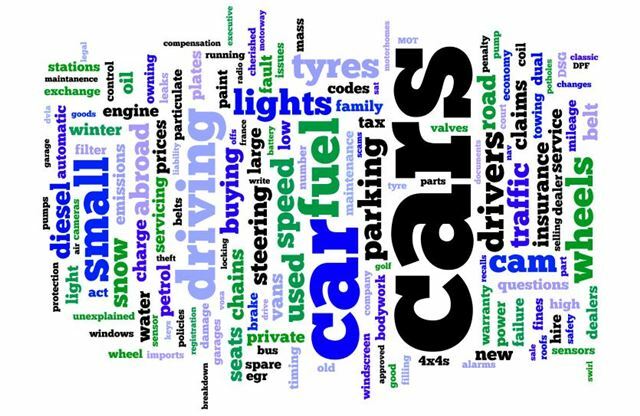 Most commonly, readers ask about the pros and cons of petrol versus diesel engines. Diesel models tend to have a higher initial purchase price, and coupled with the more expensive cost of fuel and complications arising from low-mileage use, Honest John tends to recommend petrol engines for low-mileage drivers, reserving diesels for those who make a lot of long journeys. That leads us on to another common topic for 2011 – diesel particulate filters, or DPFs. They’re designed to absorb harmful particle emissions given off by burning diesel, rather than letting them out into the atmosphere. The theory behind them is sound, but in practice they can be expensive, because over time they become clogged, particularly if they never reach a high temperature. Questions on the topic range from concerned buyers confused over whether their potential purchase has a DPF installed, through to people who have suffered a DPF failure and need a repair. If your car has a diesel particulate filter then it’s possible to keep potential problems at bay for longer by taking a regular long journey. Motorways are ideal, because on a motorway a car engine sits at the same speed for a long period, allowing the DPF to reach a high temperature and regenerate. Short journeys that don’t allow the engine temperature to rise are bad news for DPFs, so if you only use your car for the odd short trip it’s best to avoid a diesel engine. Automatic transmissions were queried regularly, too. Many buyers need the ease of use offered by an automatic gearbox, but are unsure about which automatic cars offer the best value for money. There are also various different types of automatic transmission, from traditional torque convertor automatics, through CVTs and multitronics to dual-clutch semi-autos, leaving some buyers bewildered. In the middle of 2011 there was an increasing number of questions on parking fines and penalty charges, with many drivers struggling to understand why they were being penalised so heavily. Getting a parking ticket is always a hassle, but in many cases the easiest solution is to simply pay up. Some, however, will fight the charge and win. Read a selection of parking fine related questions here. Other topics on which we received frequent questions included cam belts and chains, unexplained noises, engine oil, dual mass flywheels and selling cars. More recently there has been a spike in the number of questions about heaters – car owners are cranking up the temperature dial only to be blasted by cold air, thanks to seized valves and broken switches. Whatever your motoring related question is, you should be able to find the answer amongst the thousands already published in the Ask HJ section or on the frequently asked questions page – and if you’re still stuck you can ask one of the experts.